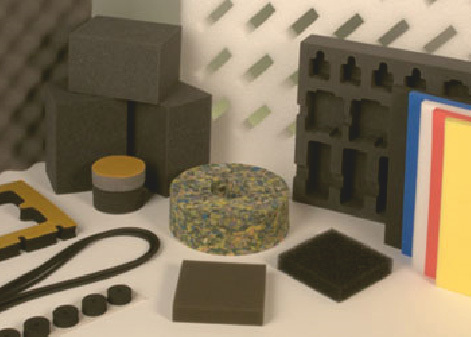 In our portfolio we offer a wide range of felt processing and final finish possibilities. In this way we are able to provide material in its basic form, but on top of this, we can also cover the production of tailor-made final products and satisfy the individual needs of our customers. Using our CNC cutting flat bed system, we can cut materials up to a thickness of 60 mm, such as rubber, cork, leatherette, foam and foam rubber, felt, technical textiles, paper and cardboard, thin plastic materials, gasket materials, insulation materials, nonwoven materials, etc. 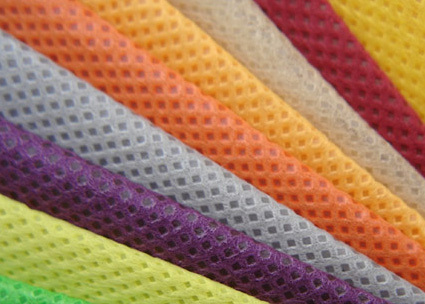 We provide lamination by applying a self-adhesive layer to felt, or by connecting two materials into one. 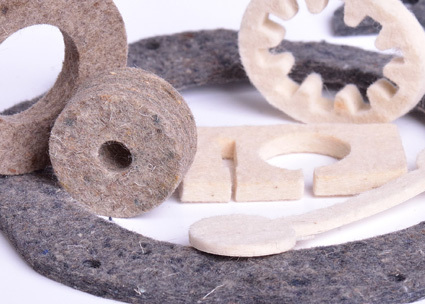 For example, felt with felt, felt with rubber, felt with foam, etc. It is possible to apply a self-adhesive backing on most of the materials we supply. 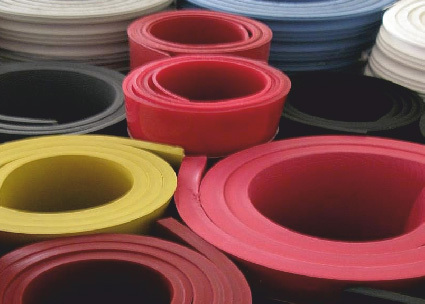 Depending on the type of material requested, we are able to choose the most appropriate type of laminate tape to achieve the best adhesiveness possible. In case you need to prevent felt sliding on the surface, for example, when using felt for the production of carpet or chair covers, the application of an anti-slide finish is recommended. This is achieved by applying an anti-slip substance on the felt surface. Depending on individual project needs, we are able to secure sewing and embroidery services in order to deliver final made-to-order products. Because we care about the sewing quality, the final products go through a thorough checkpoint process to secure the delivery of professionally produced and perfectly sewn high quality products. On top of our standard colours of design wool felt, it is possible to produce a colour shade according to your request. A lot of our felt colours are coloured in line with the PANTONE system. To produce a special colour of felt, it is necessary to send us a PANTONE colour code, and eventually a sample of another textile. 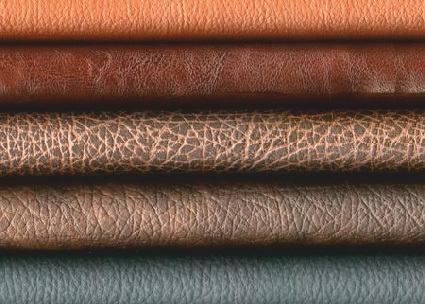 The minimal ordering quantity for a specially produced colour is different for each type of felt. For example, for the design wool felt FELTILE, the minimal order is app. 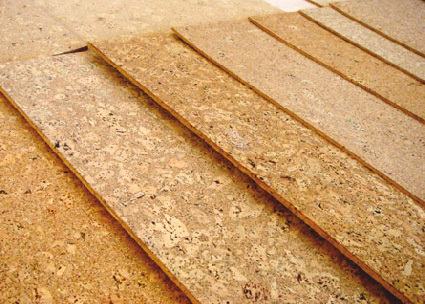 80 - 90 regular metres for 2mm or 3mm thicknesses, and 40 – 50 regular metres for 5 mm thickness. Production takes 6 – 8 weeks. 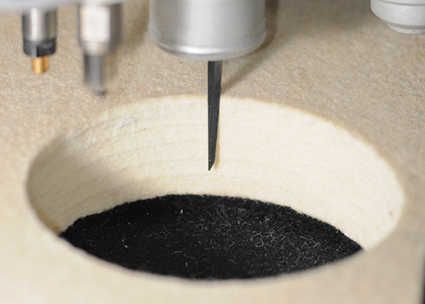 Kiss-cutting is carried out by rotating machinery that cuts a component into the material, while the backing sheet (silicone layer) stays intact. Kiss-cutting is used mainly in the production of big quantities of self-adhesive components. The advantage of kiss-cutting lays in the fact that the final components remain on a backing sheet after cutting, and they can be easily removed from the backing layer. Die-cutting is secured by a cutting form prepared in advance that is produced according to a requested shape. Die-cutting is usually used to produce big quantities of the same form and design. Felt printing can be carried out in various ways, such as screen printing or plotter foils- FLEX (plain surface) or FLOCK (velvety surface). The screen printing advantage lies in the economic and dynamic means of transferring a logo or graphics onto a felt surface. Ink colours are aligned with the PANTONE system. Various impregnation technologies guarantee the long-term durability of felt, such as hydrophobic, fire resistant, oil resistant finish, moth impregnation, etc. Please contact us for more information.